The 2017 Annual Geoscience Exploration Seminar (AGES) program has been released. Water is life, and nowhere is that truer than in the Red Centre, where every drop counts. In arid environments, the use of clean, safe, recycled water is important to sustainability—and many Alice Spring residents agree, dispelling the notion that recycled water is unsafe. The Department of Primary Industry and Resources is urging Northern Territory livestock owners to register their properties and help maintain biosecurity. The department is conducting research to assess the impact of wild dogs within beef breeding herds in the Northern Territory (NT). The results could be considered by industry in the future development of best practice guidelines. A program to eradicate Queensland fruit fly from the Ti Tree area is currently underway. Horticultural land is being offered for lease at the Arid Zone Research Institute (AZRI) in Alice Springs—and it comes with an abundant supply of clean, recycled water. The Department of Agriculture and Food, Western Australia has recently detected an exotic plant pest, the tomato potato psyllid (TPP) which attacks a range of plants in the Solanaceae and Convolvulaceae family, including potato, tomato, eggplant, capsicum, chilli, tamarillo and sweet potato. 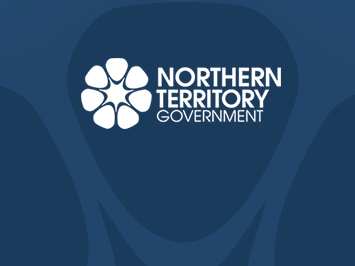 The Northern Territory Government is committed to the development of the NT by providing exploration opportunities to assist in unlocking the Territory’s untapped resources. The Northern Territory Government has provided funding for 120 concession card holders in the Palmerston and Litchfield areas to have their cats desexed at no charge. More than 100 years of geological reports collected for mineral exploration in the Northern Territory are now available online.